Nona (Sulem Calderon), a young woman in a shantytown in Honduras meets Hecho (Jesy McKinney), a handsome traveler who claims to be nursing a broken heart. Intrigued by his carefree wanderlust, she takes him up on his offer to leave Honduras behind and head toward the United States, where she can finally reunite with her mother. 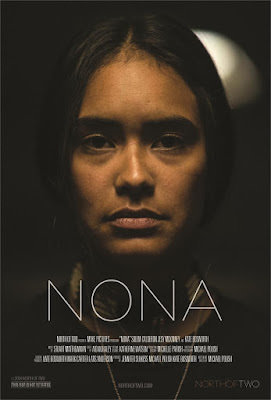 As the pair travels north by car, by bus, by boat, and by foot through Guatemala and Mexico, Nona's world seems to gloriously open up, as she dreams of opportunity and happiness a few countries away. But when Hecho's true intentions slowly become clear, her journey turns perilous. Husband and wife director/producer team Michael Polish (Twin Falls Idaho, Northfork) and Kate Bosworth have created a harrowing, compassionate thriller that puts a face to Central America's human trafficking industry. A native of El Centro, California, Michael Polish has enjoyed a lengthy filmmaking career both in the realm of Hollywood and independent cinema. Beginning in 1999 with the critical hit Twin Falls Idaho, Polish went on to direct the period drama Northfork and the Warner Bros produced The Astronaut Farmer (starring Billy Bob Thornton). Polish and twin brother Mark have collaborated on seven films.